The best power steering kit on the market is now available for your STRAIGHT SIX! Our exclusive 6-cylinder power steering kit includes a power steering pump tension bracket setup to make installation and belt adjustment a breeze. 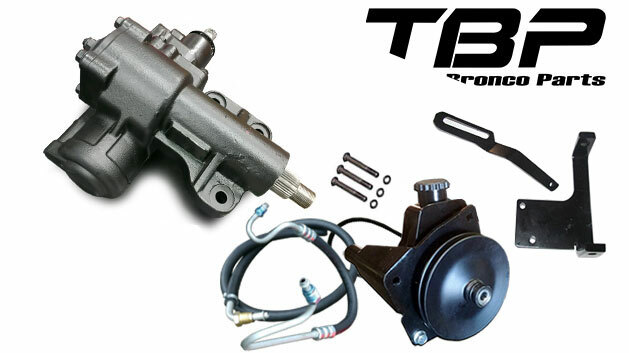 This power steering kit includes a close-ratio power steering box, heavy duty saginaw pump with pulley, pump brackets, hoses, belt, lower steering shaft coupler and hardware. NOTE: The six cylinder requires a second pulley on the harmonic balancer to run power steering. If your balancer does not have 3 threaded holes to accept this pulley, simply add our 6 cyl balancer as well and you are set!